Muscle cars have come a long way since the 60s. The 8:19 lap by the Camaro SS would have been competitive in the 1967 German Grand Prix: the model year of the first Camaro. 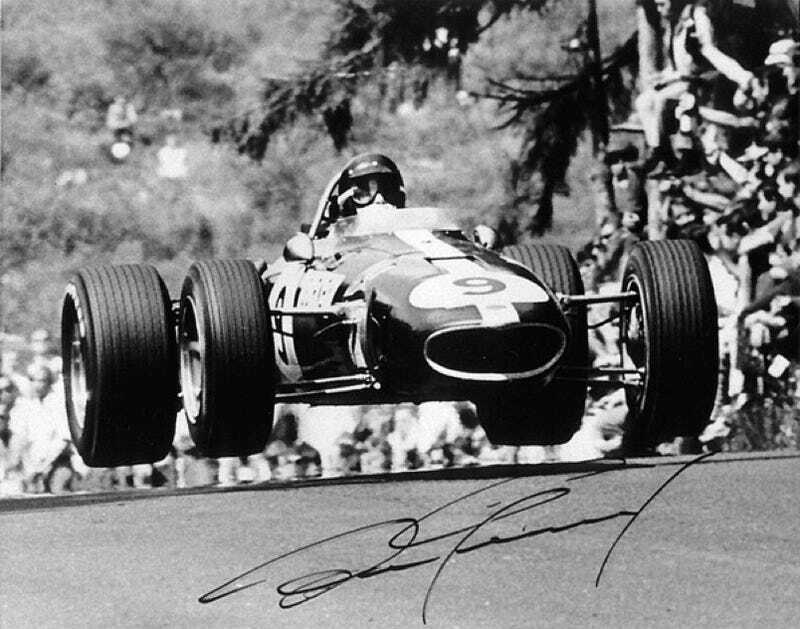 It would even have held the all-time lap record until lap six of the race, when Dan Gurney in his Eagle broke it with a time of 8 minutes and 18.2 seconds. The 1967 season was fast, wicked and violent even by the standards of early Formula 1. The cars had just come back into power the year before, when regulations increased maximum engine size from a sewing machine 1.5 liters to a healthy three, and this was the first year when the entire field was made up of 3-liter cars. Speeds were increasing race by race, the cars ran on hard rubber, had no wings, and the tracks they raced on were designed and built in the 1920s. Add to this the utter madness of the most famous of those tracks: the old Nürburgring Nordschleife. Where trees lined a thin strip of tarmac and these slender aluminum tubes with no downforce skirted right up to the edge on every lap. One would imagine it was not only the Eagle’s exhaust manifolds which were made of titanium but Gurney’s balls as well. The cars took an incredible beating and the Grand Prix turned into a race of attrition. Gurney, who would go on to break the lap record again with a time of 8:15.1, had to retire from first position with a broken halfshaft. Denny Hulme in the unremarkable but reliable Brabham-Repco won the race and went on to become World Champion. And yes, the cars took to the air on every lap at the very appropriately named Flugplatz.